Dedication to excellent teaching, the creation and application of knowledge, and engagement with public and private partners is an everyday reality in Schaub Hall. That’s where Dr. MaryAnne Drake and the Sensory Service Center (SSC) conduct research that impacts consumers around the country. The Sensory Services Center provides flavor and sensory expertise to stakeholders, in part through sensory testing for industry and academia. Consumer testing — or “taste testing” — in its current form started 14 years ago due to North Carolina companies seeking consumer testing for their food products. Universities with food science departments commonly conduct sensory testing for stakeholders. Maintaining an external database of more than 12,000 consumers, conducting trained palate profiling, engaging students in training and conducting large-scale research, however, makes NC State one of only two or three higher education institutions in the U.S. with a sensory testing facility operating at this level. 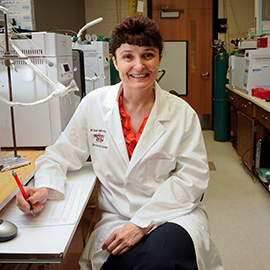 Drake’s research program focuses on food flavors, how unit operations and processing impact flavor and flavor chemistry, and consumer perceptions of these aspects of food science. Undergraduate and graduate students from her lab often work in the SSC, gaining valuable research experience through hands-on participation in sensory testing. Many of the tests run by SSC are part of student research projects. 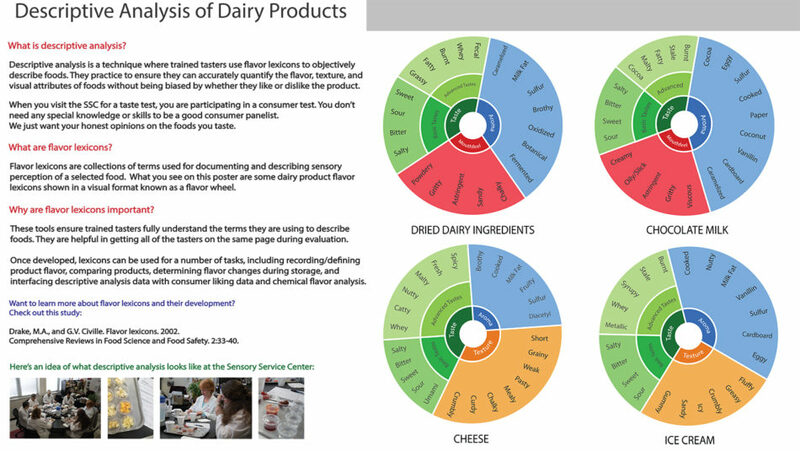 One example comes from Drake’s lab, funded by the National Dairy Council. The project involves learning how fluid milk packaging influences perceptions of fluid milk flavor for adult consumers. Another project involves children’s perceptions of school lunch milk. Students conducting this research engage in the entire spectrum of testing facilitation, from interfacing with stakeholders and organizing and leading tests, to reviewing and analyzing test data. These are the types of tests NC State faculty, staff and students are most familiar with, but outside the lab, they’re only seeing the surface of something that goes much deeper. Sensory testing is more than just taking a bite or sip of a product and giving an opinion on the taste. The terms on this poster are part of the flavor lexicon for dairy products. Trained tasters use these types of terms to describe products they are testing. 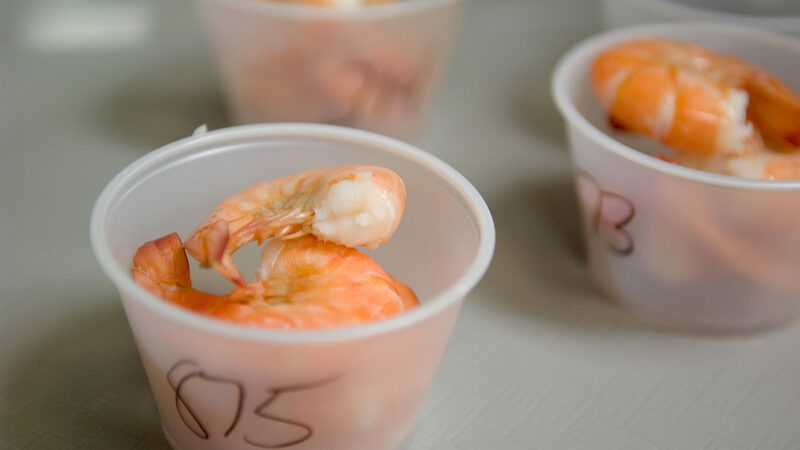 Regardless of the type of test, SSC maintains a deep connection to agriculture and food production in North Carolina and throughout the country. If a food product doesn’t taste good, consumers aren’t likely to purchase it more than once or twice, even if it is safe and nutritious. SSC helps companies that depend on statewide agriculture refine a product so that when it reaches store shelves, it tastes great and meets and surpasses consumer expectations. Garnering the opinions of taste testers helps companies, via SSC, determine which prototypes make it to market and ensures product desirability. Interested in participating in taste tests at the SSC? Sign up to join the food taster database!